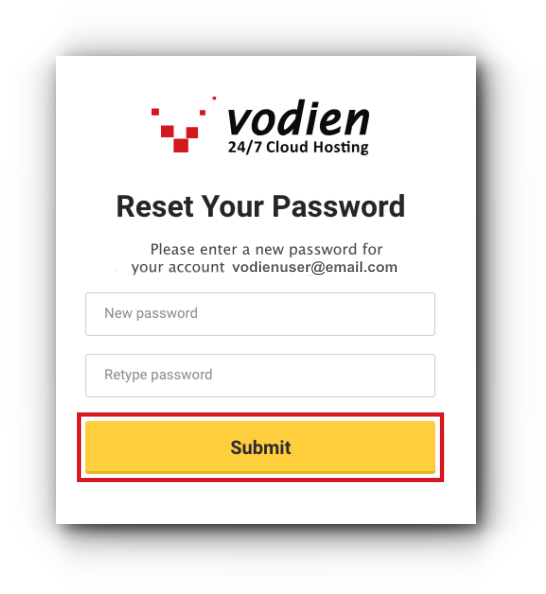 Your Vodien Account Manager is where all your Billing information and Payment details are stored, and it holds all your Domains, Hosting, and other Services registered with Vodien – allowing you centralised access for easy management. Enjoying the convenience of having everything in one place also means that you need to take care of this Account. A weak Password can cause unauthorised access, which enables intruders to easily gain access and control over your account. Thus, it is advised that you reset your Passwords regularly for precautionary purposes. 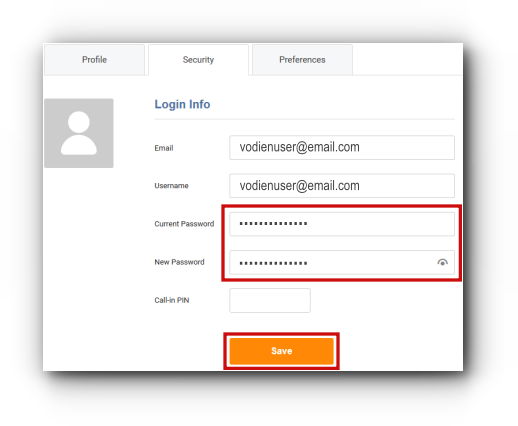 Provided below are two separate guides on how you can reset your Account Manager Password via 1) Account Manager and via 2) Login Page, if you’ve lost your Password. Visit the Vodien website and click My Account at the top-right section of the page. 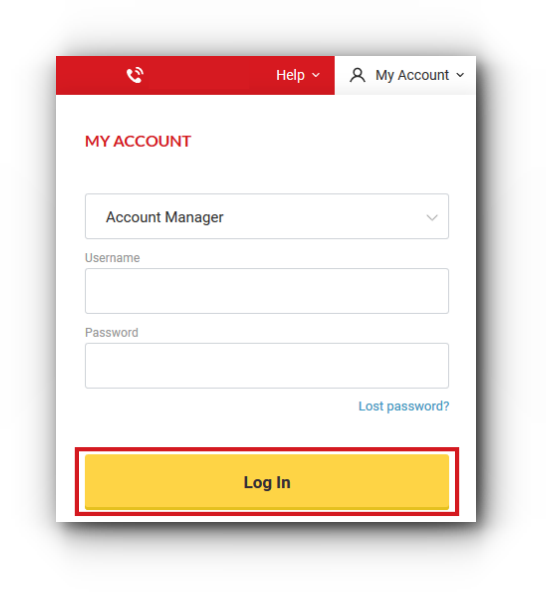 Select Account Manager from the drop-down list, enter your username and password, then click Log In. Click on the Edit Profile button on your homepage. 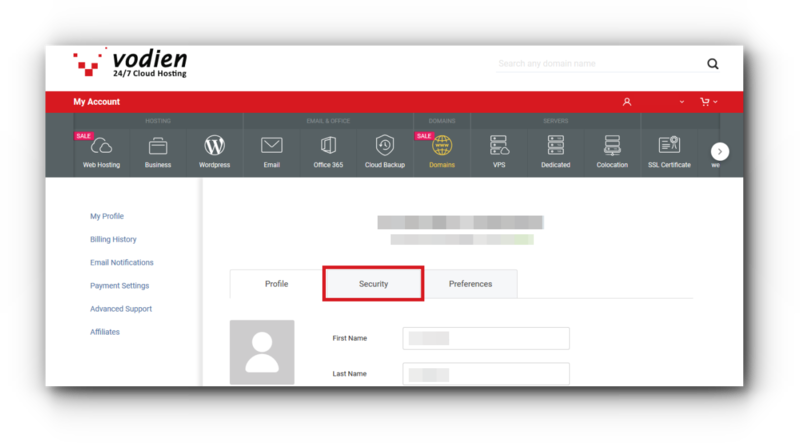 On your Profile page, click the Security tab. Enter your Current Password, then enter your New Password and click Save. You’ve just updated your Account Manager Password. Ensure that you memorise your new Password, or keep it in a secure place. 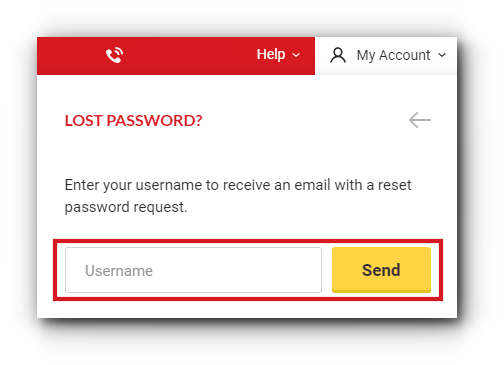 Select Account Manager from the drop-down list, then click on the Lost password? link. Enter your registered email address in the field provided and click Send. 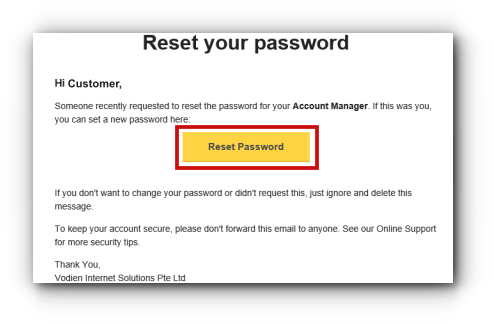 You will receive an email in a few minutes with the subject Account Manager – Reset Password. Click on the Reset Password button. The link will expire after 2 hours. 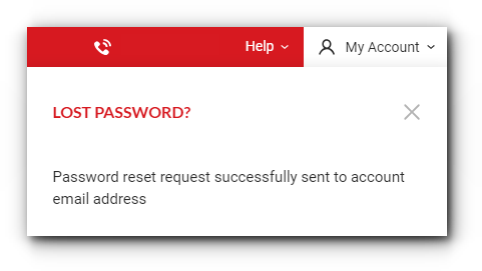 If you weren’t able to do the action immediately, you will need to request for a Password reset again. 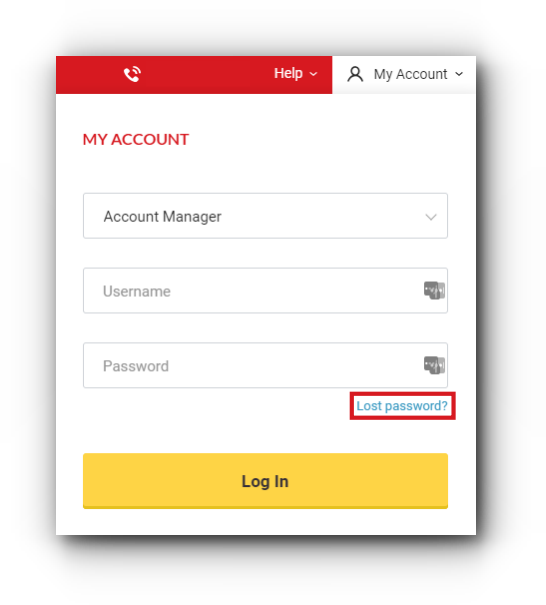 You can now access your Account Manager using your new Password. If you have further queries, please do not hesitate to contact us.